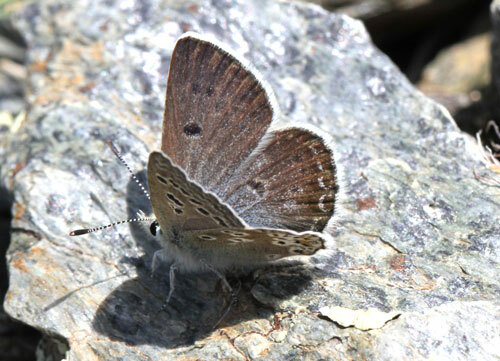 A species with very limited range, being confined to the Sierra Nevada of S Spain. 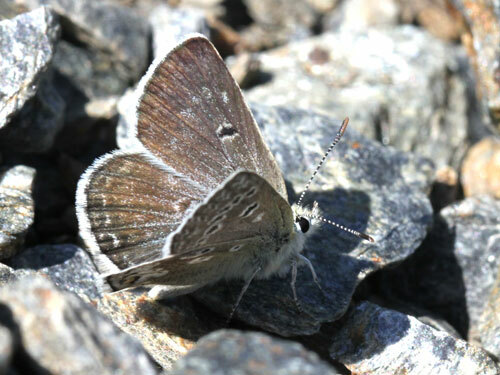 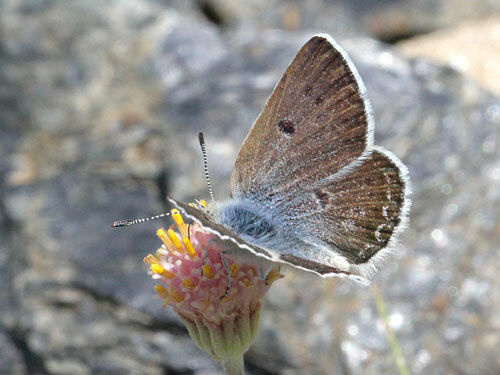 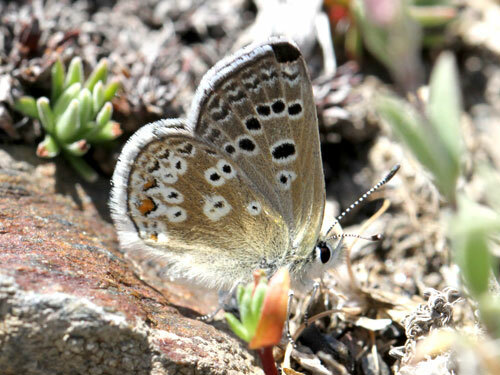 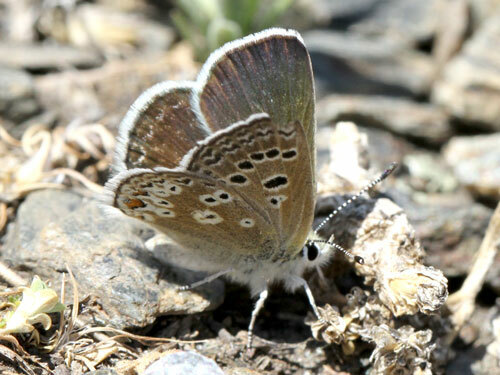 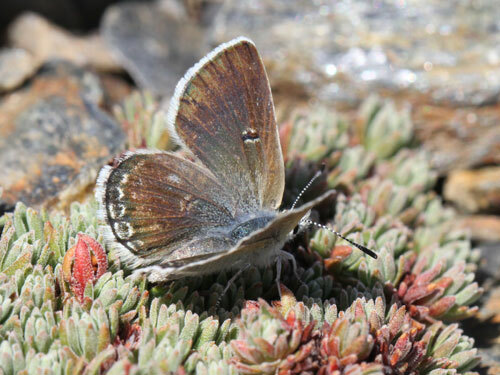 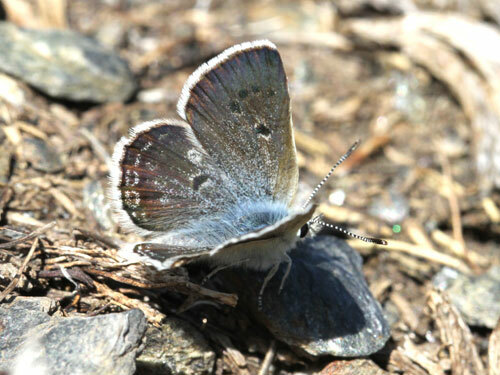 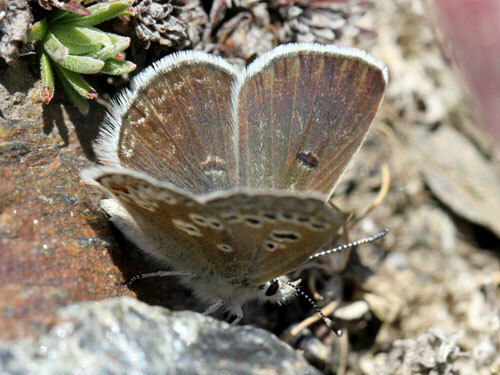 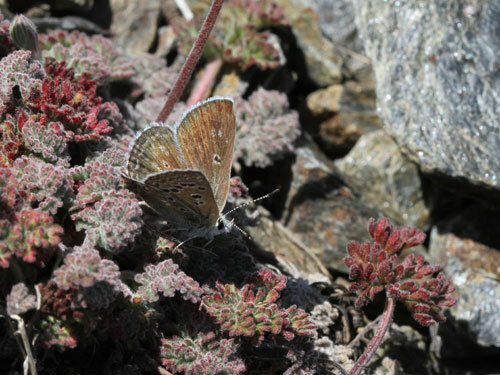 Like the arctic blue A. aquilo, it's now generally considered to be a species and no longer a subspecies of the Glandon blue A. glandon found in the Pyrenees and the Alps. 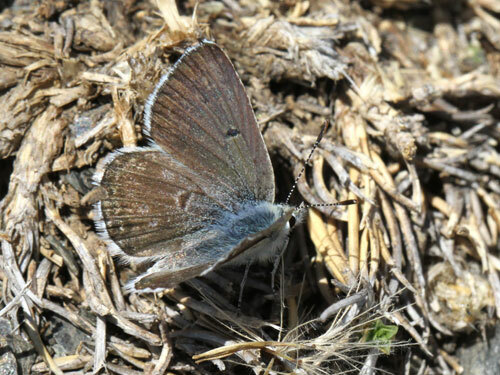 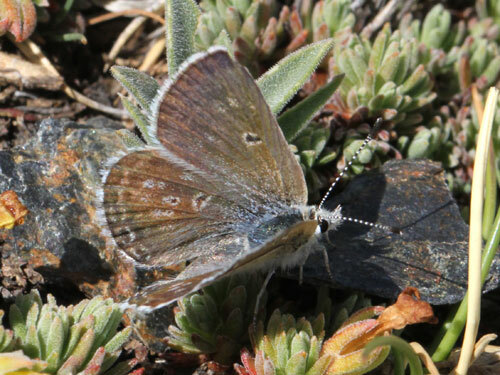 Identification & Similar species: A small grey discrete butterfly it can be very easily overlooked. 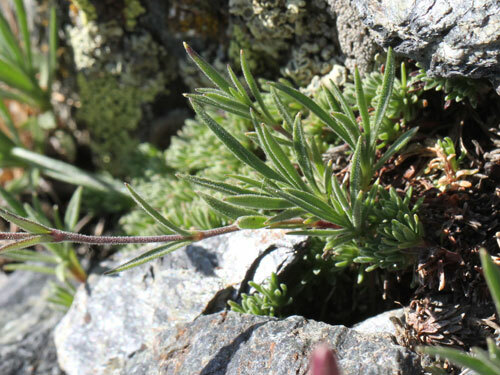 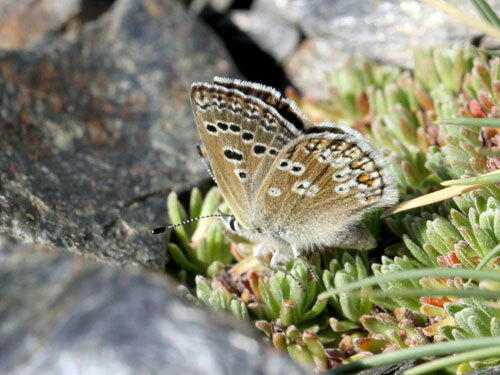 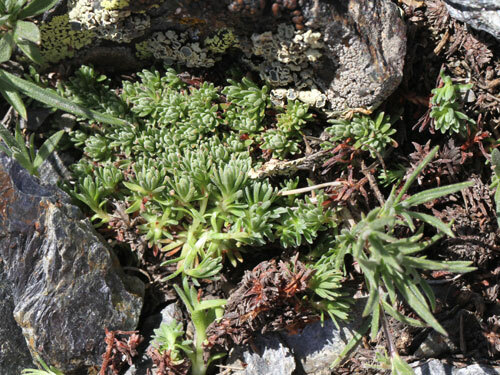 There are no similar species on the Sierra Nevada. 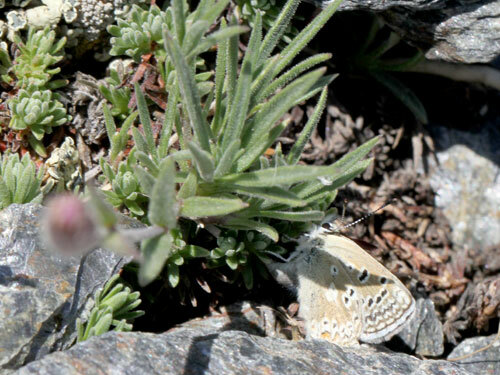 Distribution & Flight: Confined to the Sierra Nevada where if flies in late June and July. 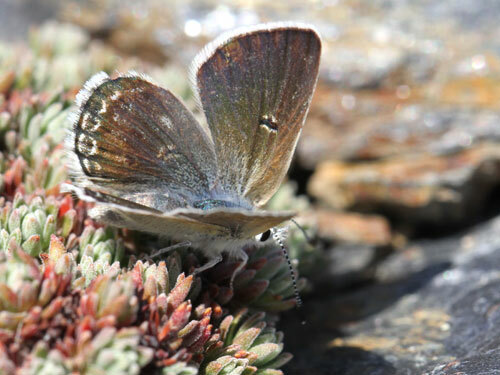 At the highest levels it possibly flies in to August. 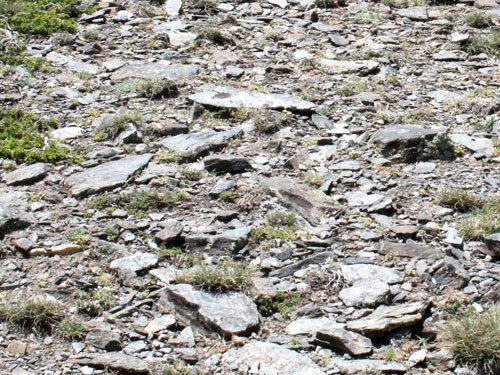 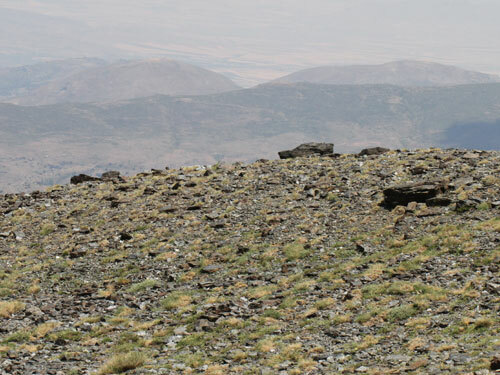 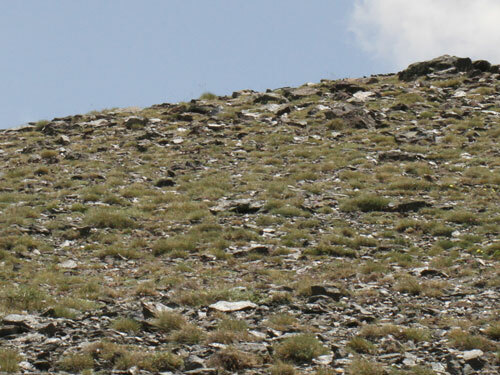 Habitat & Behaviour: Dry exposed places with very low sparse vegetation on grey rocks. 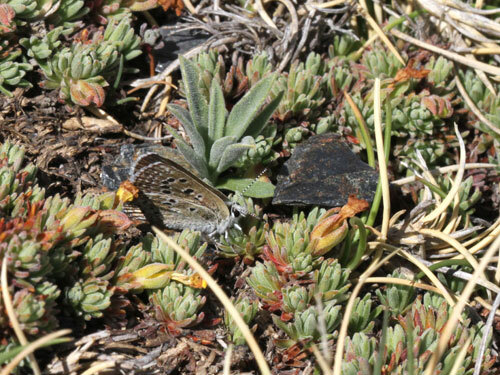 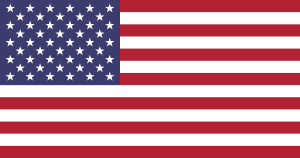 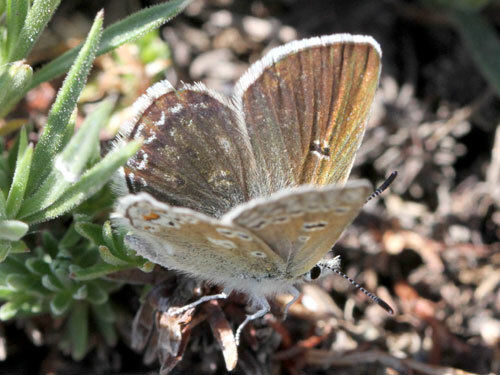 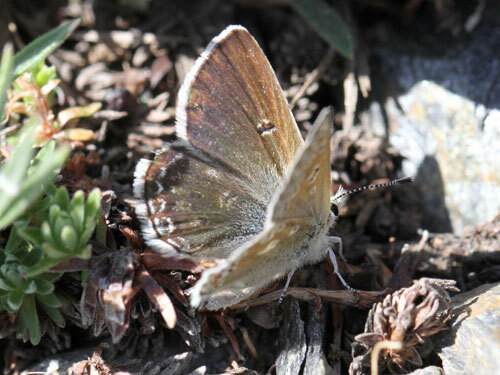 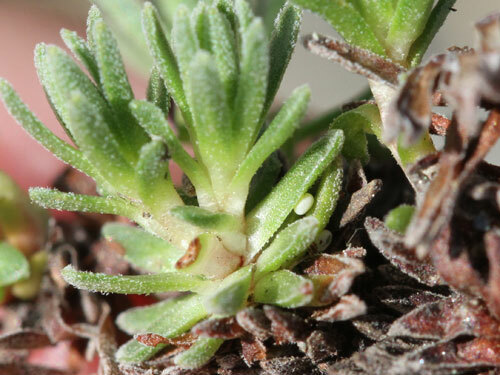 Colonies cover only very small areas although the butterfly may be fairly common where found. 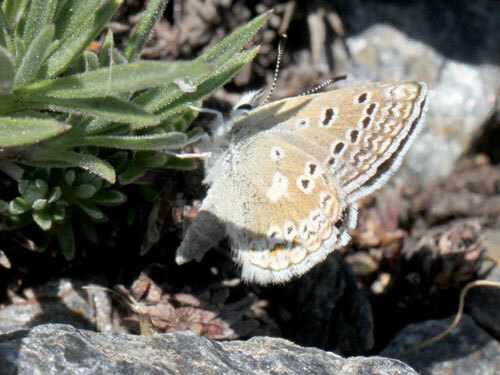 Butterflies fly fast and very low. 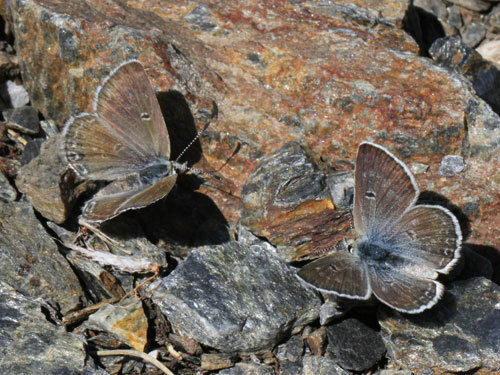 Their grey colouration makes following their whirring flight very hard to follow against the similarly coloured rocks.